Patented QuadTruss® design (patent #5,390,803) makes shelves up to 25% stronger and provides a retaining ledge for increased storage stability and product retention. Maximum storage in a minimum of space. Quick and easy assembly. Requires only single-aisle access. Provides for easier cleaning with safe access to all units. Wide selection of shelving sizes and finishes. Includes posts, casters and all parts and nec­es­sary hard­ware. Casters are 5" x 1 1/2", with polymer tread. One kit required for each mobile unit. MUK18-C 18" chrome, mobile unit kit with 74" high post (casters included in post height) - master trak® overhead track high-density storage system. MUK18-C86 18" chrome, mobile unit kit with 86" high post (casters included in post height) - master trak® overhead track high-density storage system. MUK18-E 18" EAGLEgard® green epoxy, mobile unit kit with 74" high post (casters included in post height) - master trak® overhead track high-density storage system. MUK18-E86 18" EAGLEgard® green epoxy, mobile unit kit with 86" high post (casters included in post height) - master trak® overhead track high-density storage system. MUK18-Z 18" EAGLEbrite® zinc, mobile unit kit with 74" high post (casters included in post height) - master trak® overhead track high-density storage system. MUK18-Z86 18" EAGLEbrite® zinc, mobile unit kit with 86" high post (casters included in post height) - master trak® overhead track high-density storage system. MUK21-C 21" chrome, mobile unit kit with 74" high post (casters included in post height) - master trak® overhead track high-density storage system. MUK21-C86 21" chrome, mobile unit kit with 86" high post (casters included in post height) - master trak® overhead track high-density storage system. MUK21-E 21" EAGLEgard® green epoxy, mobile unit kit with 74" high post (casters included in post height) - master trak® overhead track high-density storage system. MUK21-E86 21" EAGLEgard® green epoxy, mobile unit kit with 86" high post (casters included in post height) - master trak® overhead track high-density storage system. MUK21-Z 21" EAGLEbrite® zinc, mobile unit kit with 74" high post (casters included in post height) - master trak® overhead track high-density storage system. MUK21-Z86 21" EAGLEbrite® zinc, mobile unit kit with 86" high post (casters included in post height) - master trak® overhead track high-density storage system. 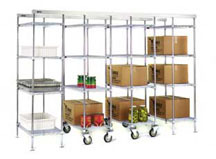 MUK24-C 24" chrome, mobile unit kit with 74" high post (casters included in post height) - master trak® overhead track high-density storage system. MUK24-C86 24" chrome, mobile unit kit with 86" high post (casters included in post height) - master trak® overhead track high-density storage system. MUK24-E 24" EAGLEgard® green epoxy, mobile unit kit with 74" high post (casters included in post height) - master trak® overhead track high-density storage system. MUK24-E86 24" EAGLEgard® green epoxy, mobile unit kit with 86" high post (casters included in post height) - master trak® overhead track high-density storage system. MUK24-Z 24" EAGLEbrite® zinc, mobile unit kit with 74" high post (casters included in post height) - master trak® overhead track high-density storage system. MUK24-Z86 24" EAGLEbrite® zinc, mobile unit kit with 86" high post (casters included in post height) - master trak® overhead track high-density storage system. MUK30-C 30" chrome, mobile unit kit with 74" high post (casters included in post height) - master trak® overhead track high-density storage system. MUK30-C86 30" chrome, mobile unit kit with 86" high post (casters included in post height) - master trak® overhead track high-density storage system. MUK30-E 30" EAGLEgard® green epoxy, mobile unit kit with 74" high post (casters included in post height) - master trak® overhead track high-density storage system. MUK30-E86 30" EAGLEgard® green epoxy, mobile unit kit with 86" high post (casters included in post height) - master trak® overhead track high-density storage system. MUK30-Z 30" EAGLEbrite® zinc, mobile unit kit with 74" high post (casters included in post height) - master trak® overhead track high-density storage system. MUK30-Z86 30" EAGLEbrite® zinc, mobile unit kit with 86" high post (casters included in post height) - master trak® overhead track high-density storage system. MUK36-C 36" chrome, mobile unit kit with 74" high post (casters included in post height) - master trak® overhead track high-density storage system. MUK36-C86 36" chrome, mobile unit kit with 86" high post (casters included in post height) - master trak® overhead track high-density storage system. MUK36-E 36" EAGLEgard® green epoxy, mobile unit kit with 74" high post (casters included in post height) - master trak® overhead track high-density storage system. MUK36-E86 36" EAGLEgard® green epoxy, mobile unit kit with 86" high post (casters included in post height) - master trak® overhead track high-density storage system. MUK36-Z 36" EAGLEbrite® zinc, mobile unit kit with 74" high post (casters included in post height) - master trak® overhead track high-density storage system. MUK36-Z86 36" EAGLEbrite® zinc, mobile unit kit with 86" high post (casters included in post height) - master trak® overhead track high-density storage system.